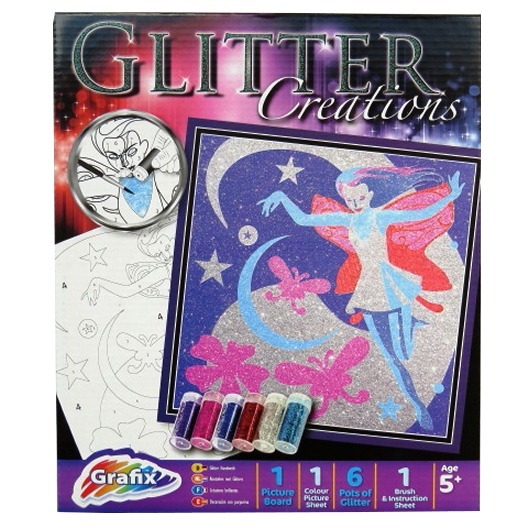 Hours of fun for all with this wonderful and unique Glitter Creations Box Set. Create your colourful masterpiece with full instructions in how to create these unique pictures. Contents include, 1 x Picture Board, 1 x Colour Picture sheet, 6 x pots of Glitter (all different colours), 1 brush and instruction sheet.